Nice blog post. I came across it as I was gathering photos from off of the web to prepare for a lecture on "The History of Telescopes" that I'm going to give at another Public Night at the Observatory, just like the one you attended. I just want to make a small correction. Although the Observatory is owned by DU, it's not exactly run by DU. That nice bald man in your pictures isn't a DU professor, he's a volunteer from the DAS - the Denver Astronomical Society, now 500 strong, of which I am also a member. 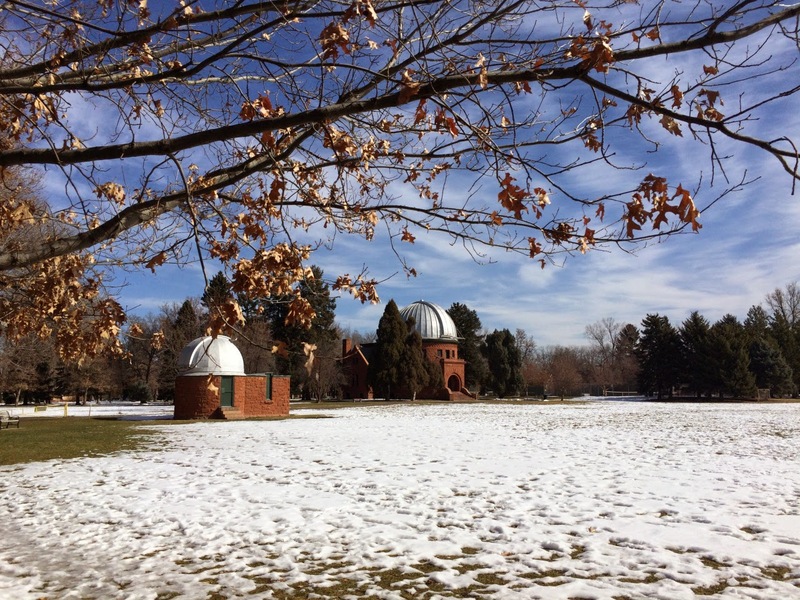 We run the place under the direction of DU's Director of the Observatory, Dr. Robert Stencil. The membership of DAS, astrogeeks all, volunteer to give these Public Night tours and lectures every Tuesday and Thursday night, for four dollars. We also have Open Houses, like the one we had last night, where the members take their scopes and set them up on the lawn just south of the Observatory. At the Open Houses the general public is free to come on by and have a look through these scopes; and it's just two bucks a head to go up into the dome and look through the big scope. I am actually that bald man in the photos and, like my friend Jon, I am a member of the Denver Astronomical Society and work at Chamberlin as a volunteer. I wanted to thank you for taking the time to photograph and document the tour to the extent that you did. It was a wonderful read. I also hope that you will come back and visit us on other occasions because the sites in the skies and the lectures are always changing. My apologies that we started early on the night that you visited. The usual start time is 7:30 in the winter and 8:30 in the summer, but if we have a larger crowd already assembled then I usually start talking at them a little early because there is so much to see. I will also note that the clocks have not actually run continuously, but do require periodic service. They do run so well, however, that we may forget to have them serviced until they suddenly stop. Best regards & keep looking up.